A prom is a high school dance. 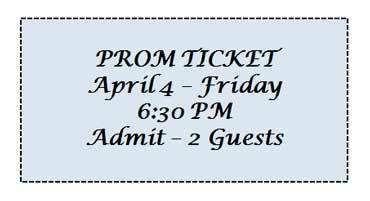 Students need to buy tickets to the prom. This ticket is for two students. High school girls buy a new dress for the prom. Most girls wear a long gown to the prom. 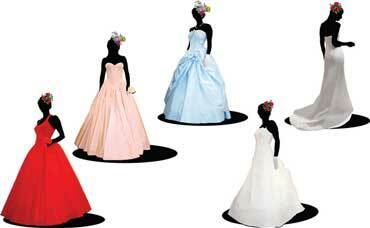 Prom dresses come in many colors. Copyrights to the pictures and photos on this ESL and EL Civics website belong to individual photographers. We have purchased the rights to use them. Do not copy the images on this ESL website. Permission is granted to copy any of the worksheets for classroom or home use. You may link to any page of this ESL website. Contact Christina Niven, ESL teacher, at christina@elcivics.com. Please send corrections, comments, and requests for new ESL lessons. Copyright © Christina Niven, 2007.